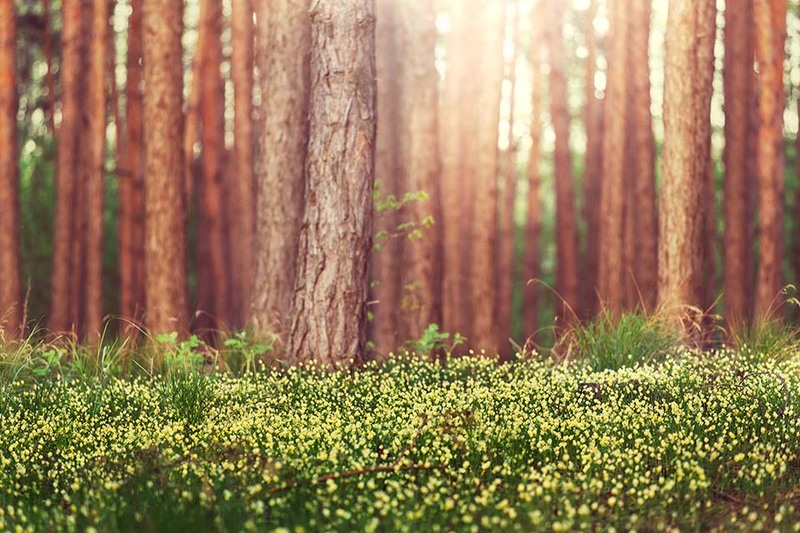 A woodland walk is usually an adventure in itself. 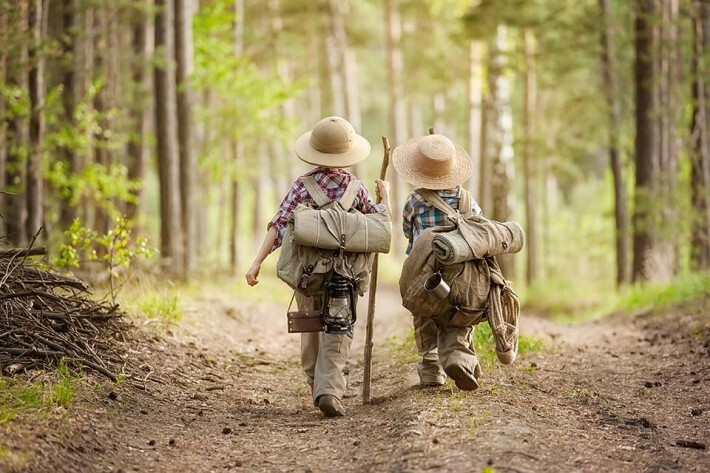 But if you have the privilege of spending extended periods amongst the trees or are taking an active bunch of youngsters out, we have rounded up our top ten favourite activities that make being outdoors truly unforgettable. Building a den is a great way for kids to unleash their creativity whilst encouraging their inner architect and learning some of the basic mechanics of construction. Of course the big kids can join in too! Any adult who has seen den building in action knows it’s impossible not to get involved. For the best dens, you need to get creative with different woodland materials like twigs, leaves, logs and bracken. Experiment with a mix of man-made and natural materials and add in camping equipment – tarpaulin, tent poles and pegs all make for useful modifications. Remember to let the kids lead the way with the construction and planning. For inspiration turn to Eeyore’s Den from Winnie the Pooh, or make it an exciting survival challenge and make-believe you’ll need to make a shelter that will provide protection from the elements. There is something special about making a campfire, providing it is done safely. The process of building a campfire requires lots of different steps that keeps the kids entertained – and it’s never quite as easy as Bear Grylls makes it look! Get the kids to collect sticks of varying sizes and assemble them in a tipee shape. They can then watch or get involved in the lighting process depending on their age. Once the fire is a roaring success, gather everyone round and tell campfire stories – maybe even crack out the marshmallows. This activity is great for warm summer days (or colder months if the kids are feeling brave!). Find a stream that isn’t too fast-moving and that is surrounded by a good supply of twigs, branches and stones. This activity will involve getting wet so why not get stuck in straight away by placing a big stone right in the middle of the stream? Building a dam is a great activity that requires teamwork and problem solving to get the job done, as well as being extremely satisfying! It’s a classic junior school game and ‘40-40 In’ remains a great way to involve the whole family and get the kids hiding and running around in the woods. Establish a base, like a big tree or a tree stump. A nominated spotter then guards that base and counts to 40. As the spotter is counting (eyes shut, no peeking!) everybody scurries off to hide: behind trees, under bushes, up trees and so on. The spotter then has to leave the base to start looking for those who have hidden. Once they’ve “spotted” someone, he/she runs back to base and shouts: “40-40 Out!” followed by the person’s name. The aim of the game is for those hiding to try and sneak to the base before the spotter does, shouting “40-40 In!” when they do. What better way to get exercise and improve co-ordination than having a go at nature’s own “jungle gym”. You might need to do a bit of scouting to establish safety first, but the woods will provide something for all ages and abilities – whether it’s climbing up or scampering horizontally along a fallen down tree, climbing gets the kids moving and fit whilst having fun. A rope swing can be quite a big job, and requires a bit of equipment and forward planning, but the end result will provide hours of fun! The easiest kind of swing to make requires a sturdy tree branch and a piece of wood suitable for the swing. Tie a rope firmly to the tree branch and secure the other end to the middle of the piece of wood and hey presto! If you feel like more of a challenge a slightly more complex swing can be made by drilling a hole in each end of a plank of wood. Two ropes can be secured at shoulder width to a strong branch then insert one through each hole and tie them in a large knot at the other side. Just make sure to watch out for any splinters! If you have a spare or flat tyre handy, and the enthusiasm to carry it through the woods, then a tyre swing can be a great alternative to the traditional rope swing. Another junior school favourite, this game requires speedy reactions and balance. 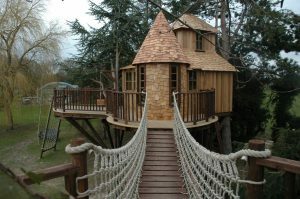 You can play in a woodland clearing or amongst the trees. One person plays Grandma or Grandpa standing at the far end of a clearing with their back to everyone else. The others then try and creep up on Grandma/pa to tap his or her shoulder – the first to do so wins the game. But at any moment Grandma/pa can suddenly turn around, commanding everyone to freeze. If Grandma/pa spots anyone moving, they will call them out and send them back to the start. Get the kids to help pack up a picnic for them and their favourite teddy bear or toy. Involving them in the planning and preparation process is a great way of developing their sense of logistics. Get them to think about food and drinks as well as any equipment like blankets. Ask: What will we be doing? What will we need to do that? Get those little brains working! Letting them forget a non-essential item creates a great opportunity for improvising. “Oh no, we forgot to bring saucers! What else can we use?” You’ll be amazed at the solutions. Make sure each teddy or toy has their own plate and space on the blanket. 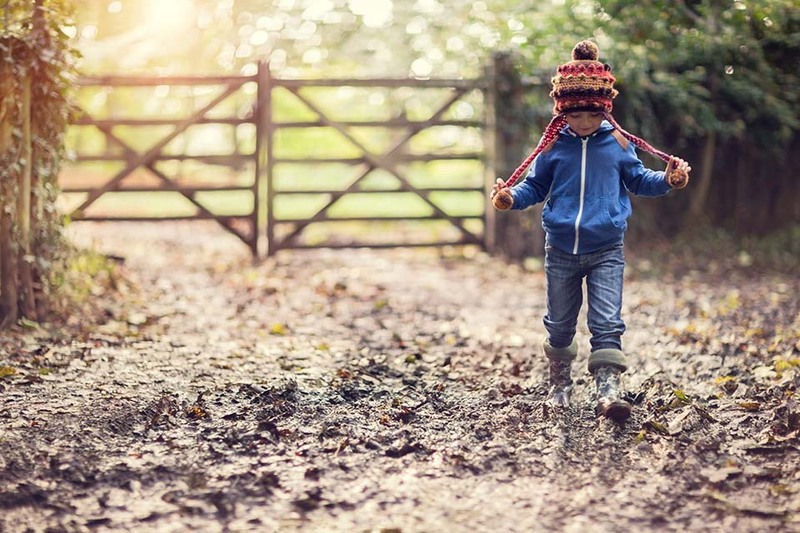 Scavenging for woodland items is a fun and active way to get kids learning about nature whilst improving their attention to detail. Make a list of objects/materials found in the woods e.g. brown leaf, blackberry, twig, bark etc. Step the excitement up a level by offering prizes to the child who finds everything on the list, or the child who finds a particular item first. 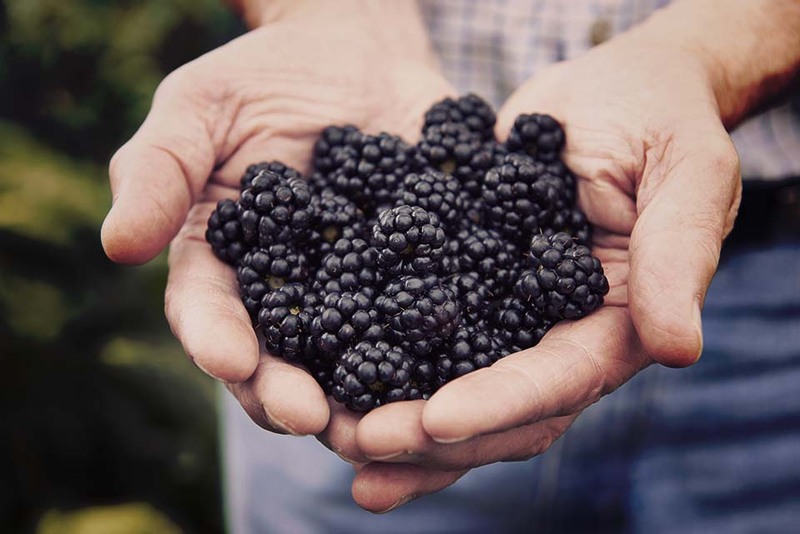 The best time for blackberry picking is from June to October and is a great summer woodland activity. Get the kids excited about fruit and show them where it comes from. Baskets to collect berries in. Gloves to protect hands from the scratchy blackberry thorns. Clothes you don’t mind getting juicy – kids can be messy! And if you can resist eating them all, take the rest home and spend the afternoon with your kids making jam, preserves or tartlets.